DALLAS, August 16, 2018. Armor, a leading cloud security solutions provider, announced today that Rafal Los, Armor’s Vice President of Solution Strategy, has been appointed to the Security Advisor Alliance’s Board of Advisors. Founded in 2013, the Security Advisor Alliance is a charitable organization made up of 500 members worldwide. The Alliance is focused on cybersecurity and is led by a board of Chief Information Security Officers (CISOs) and senior security leaders from some of the top organizations across the globe, including CapitalOne, GE, IBM, Mastercard, Microsoft, Royal Bank of Canada, Starbucks and Walmart, among others. As a new board member, Los is working with the Alliance in their current endeavor to promote the cybersecurity industry to the next generation and to ensure that students, teachers and schools have the resources and mentorship necessary to foster the cybersecurity professionals of the future. The Alliance is also working to promote diversity and create opportunities in the industry for underserved students. Los leads the technical functions associated with designing, developing and delivering Armor’s cloud security-as-a-service solutions used to protect the data of Armor’s 1,200 customers worldwide. Whether a customer’s information is hosted in public, private or hybrid cloud environments, Armor’s managed security solutions provide real-time detection and protection against current and emerging cyber threats. Prior to joining Armor, Los worked as the Managing Director of Solution & Program Insight at Optiv Inc.; as Principal of Strategic Security Services for Hewlett Packard’s(HP) Enterprise Security Services; and as a Senior Security Strategist at HP Software. 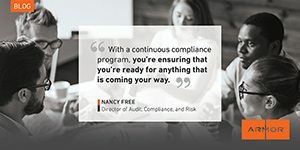 As a longtime cybersecurity professional, Los’s responsibilities have included budgets, risk analysis, process creation and adoption, and internal audit and compliance strategies. Los has been the catalyst for change in many organizations, building bridges across enterprises and developing permanent, successful strategies for growth. In addition to Los’s VP role at Armor, he is the founder and producer of the Down the Security Rabbithole podcast. Armor provides managed security solutions that take the complexity out of cloud security. Armor protects companies’ critical data across public, private and hybrid cloud environments from current and emerging cyber threats by combining cutting-edge technology, audit-ready compliance controls and real-time intelligence from its security experts. With Armor, clients can focus on their core business with the peace of mind that their data is secure. To learn more, visit www.armor.com or follow @armor on Twitter. The Security Advisor Alliance is a 501(c)(3) nonprofit founded and led by Chief Information Security Officers and Senior Leaders at the most influential companies in the world. The Alliance and its community of members are committed to their mission of aligning the cybersecurity industry in support of one another, promoting growth and innovation within the space, and inspiring the next generation of cybersecurity professionals. Learn more about the Alliance and out mission at www.securityadvisorallaince.org.